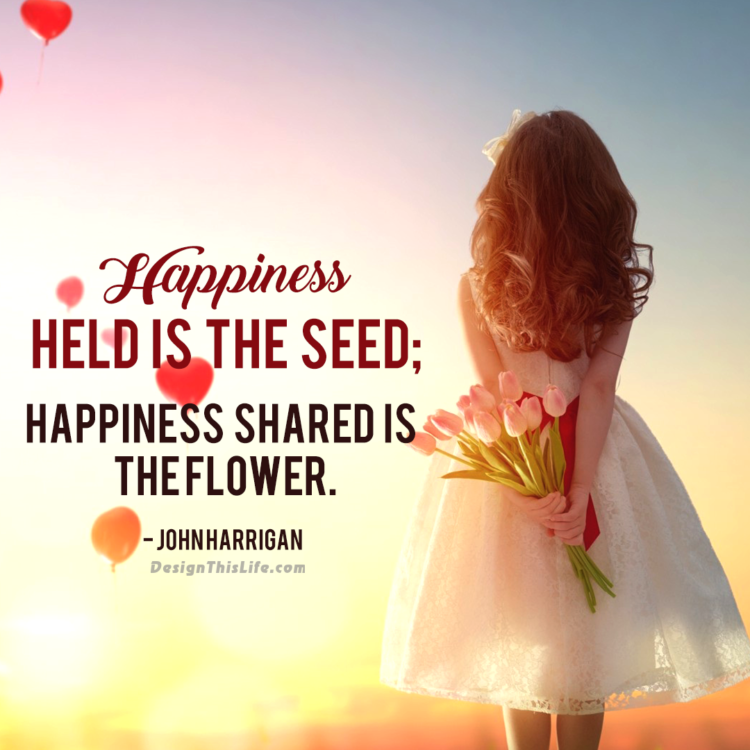 4 Simple Steps To Living A Happy Life, Encompassed By Happy People! We all want to live our happiest and best life, but many of us have no clue how to do that. We scoured the internet, asking many professionals and experts the steps they recommend to ensure you’re living a full, rich, and happy life. Here are the four simple steps you can take to ensure you’re living a happy life. One of the most rewarding things you can do in your lifetime is caring for others and showing them that they matter. Caring about other people is essential to your overall happiness. Helping others and giving to others can build stronger connections, improve our overall mood, and even improve our health. You can start practicing caring for others by doing at least one kind thing for someone around you a day. That kind thing can be paying them a compliment, helping them reach something on a higher shelf, holding the door for them, offering to carry something for someone with their hands full, etc. Carrying for others, supporting them emotionally, physically, or even financially, is a great foundation for a lifetime of happiness. You’ll build better connections, grow spiritually, improve your empathy, and feel like you’re doing something worthy of qualifying you as a good person. Whether we like to admit it or not, humans are naturally social creatures. We all need at least a small group of people we can trust with whom we can share our lives. Connecting with people is crucial to our happiness. The stronger your relationships are, the happier and healthier you will be. Studies even show that those with stronger relationships tend to live longer. These strong relationships help to provide us with love, support, meaning, and improve your self-worth. These relationships also provide a place in which you can belong. This is so important for you psychologically, as we all want a group with whom we belong. You can improve your connections with others by making a diligent effort to make more time for others. Schedule get-togethers and meals, give them a call every once in a while, and stop skipping family events. You should also try to make new connections to try to further your group. Try chatting with someone new every day, be it a neighbor, someone at the store, or just the person pumping gas next to you; try to make some connections. Your body and mind are connected; you’re with your body for a very long time and it’s the only one you get, so you need to take care of it. Regularly exercising not only improves our bodies and physical stamina but also makes us happier overall. Exercise releases endorphins, which make you feel happier and more energized. As your body gets healthier and you start feeling better, you’ll also notice an improvement in your mood. There are a few things you can do to start taking better care of your body. You can start by eating healthier foods, spending more time outside, going to bed at reasonable times, instilling a technology curfew, maintaining a regular workout routine, and drinking more water. With all the distractions we have nowadays, it’s no wonder we struggle to live in the moment. Take time to notice the world around you, the people around you, the things happening right in that very moment. Being more mindful and aware of your surroundings can truly help to improve your life. It will allow you to appreciate the present, miss out on less, and be more observant. It will also help to decrease your stress. Take some time to relax and focus on your surroundings, the moment you are in right that very second. You’d be amazed how doing that at least once a day can dramatically improve your happiness and overall outlook on life. Previous post: What Are The Causes Of Unhappiness? Is It Just Bad Thinking Habits?